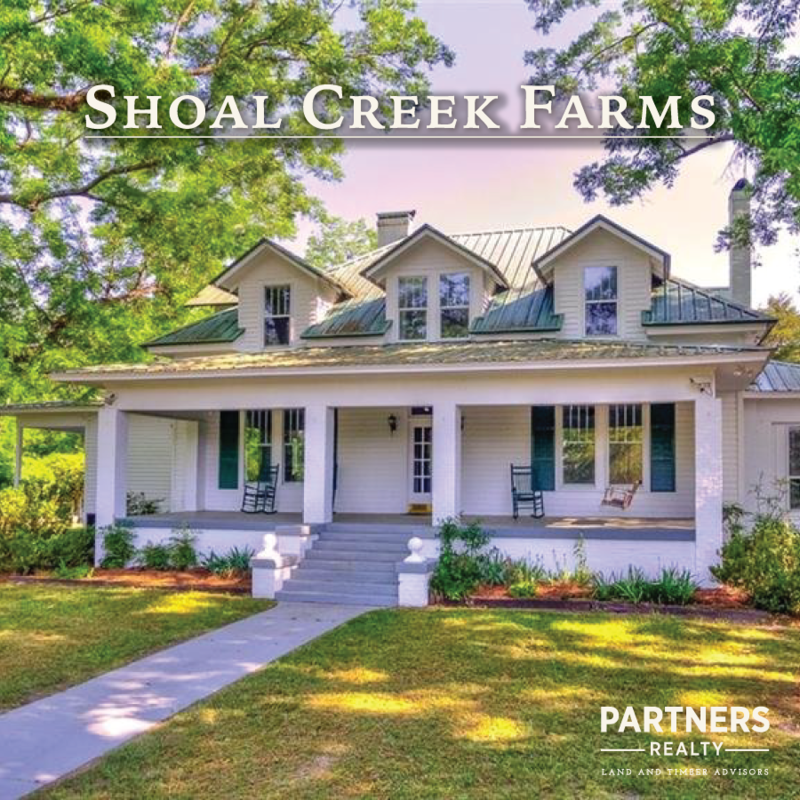 *******Announcing Shoal Creek Farms************This alluring farmhouse and country property has charm to spare, starting in the front yard that's shaded by mature trees, including a stately magnolia. The rocking chairs on its deep front porch topped with a classic sky-blue bead-board ceiling beg you sit a spell and soak in the peace and quiet of the surrounding rural landscape. Inside, you're greeted with hardwood floors, an elaborately carved mantel in the living room and two tumbled-brick fireplaces in the homey den, which is open to the updated kitchen sporting granite counters and a half-moon breakfast bar. An office with three walls of floor-to-ceiling bookcases has bay windows that let abundant sunshine in. Several bedrooms upstairs also boast built-ins, as well as cozy window nooks and painted wood-planked ceilings. Large closets and bathrooms throughout ensure there's plenty of space for all. Out back, a comfy screened porch leads to an expansive, level backyard and pond, plus a fragrant jasmine-draped arbor and a meticulously planned garden with plots ready to plant for harvests of homegrown produce. A weathered barn provides additional storage and completes this "happily at home in the country" postcard-perfect picture.